Twice this month I have received an award from bloggers following and reading me. 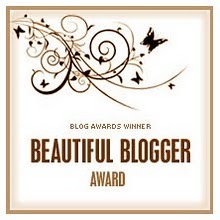 This Sunday I am thanking Marianne’s from Stockholm for nominating me with the “Beautiful Blogger Award”. I feel so excited about receiving the award and humbly accept it. 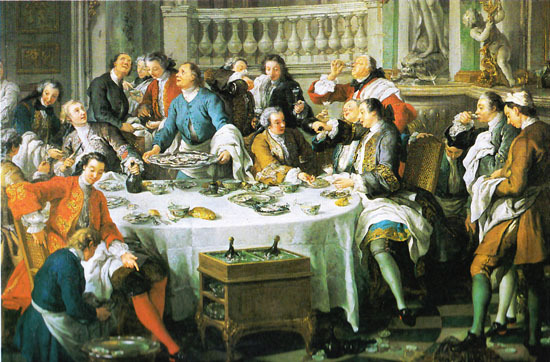 My two blog columns are about design, style, architecture, food and Italian culture. By receiving awards from other bloggers, I have increased my readership and I am so very grateful for that. Through my blogs I was also able to get hired as a designer from distant clients in various parts of the world, such as France, Florida, England, Italy and even got a client locally at 20 minutes by car from my office. 1. I am not a chef, I am Italian and because of that I wrote two Italian regional cuisine books based on simplicity, healthy and colorful food. “Eating in the rainbow” will keep us healthy, young and will give us a beautiful skin through older age. I like to cook every day, design my food, delight people with my food and talk about food as all the Italians do. I am very grateful I have learned to cook and to have a deep knowledge of food. This knowledge saves me money because I know what to cook that is good for my health and how to put a weekly menu together. ©RED – A Voyage Into Colors. 3. I am grateful for one new friend I met in person last summer and for so many virtual friends I met through various social sites and blogs. Actually, my virtual friends are also becoming a reality, as I try to meet them through Skype, Facebook video, or Google+ hangout. What fun time we live in! I am super grateful for the technology that can put my family closer, allows me to meet new friends and exposes me to new work. Please, let’s not forget the friends closer to us that we can reach easily and have fun together. http://carolgiambri.com/ – She is from Denver, Colorado and writes about beneficial and healthy food, gardening and more. http://teaandsympathynewyork.wordpress.com/about/ – A British living in New York reporting on everything British. http://50yearproject.wordpress.com/ – Her nom de plume is TBM, her blog is about the challenge to herself to visit 192 countries, read 1001 books, and watch the top 100 movies before she dies. It has been fun following TBM. Congrats Valentina, you certainly deserve the award. Thank you Sindy, my new found friend. “eating in the rainbow” I like that. Last night I was cooking red, yellow, orange, and green peppers for dinner and I thought to myself, how colorful and delicious. Congrats on the award and thanks so much for thinking of my blog. You are very kind. I wish you continued success with your blog and your books. I am sure your “eating in the rainbow” was also very tasty. Thank you so much for reading and taking the time to comment on my blogs. Thank you Jamie, I am enjoying it. Happy Sunday. I want Italy to win this game, but don’t tell my British friends, :). Oh, that’s a tough one. Have fun Marianne. Yes Amy, I blog once a week on this site and once a week from my books site. I am passionate about my work. Thanks for stopping by.